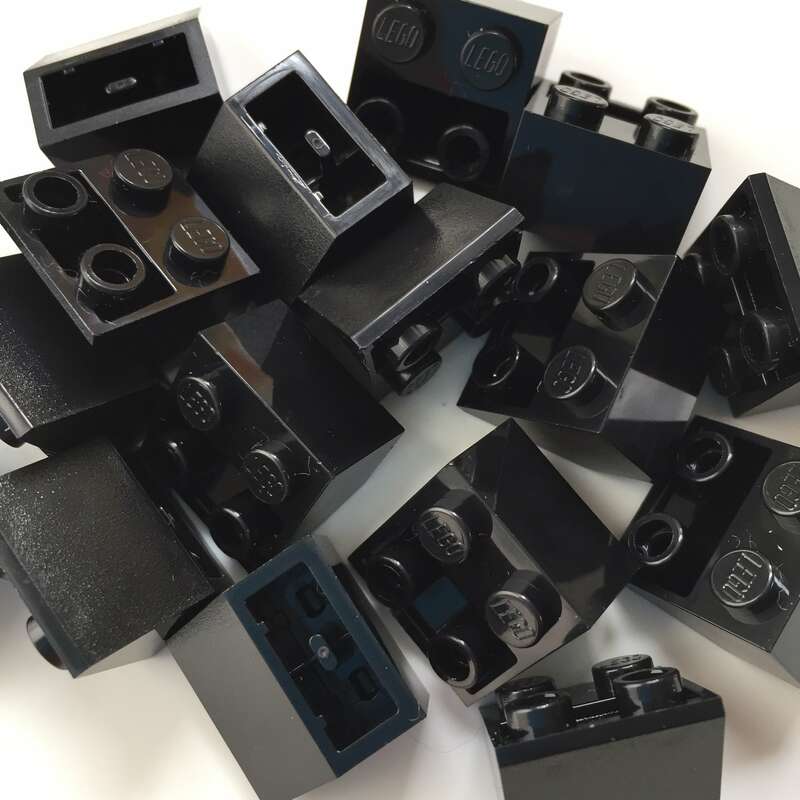 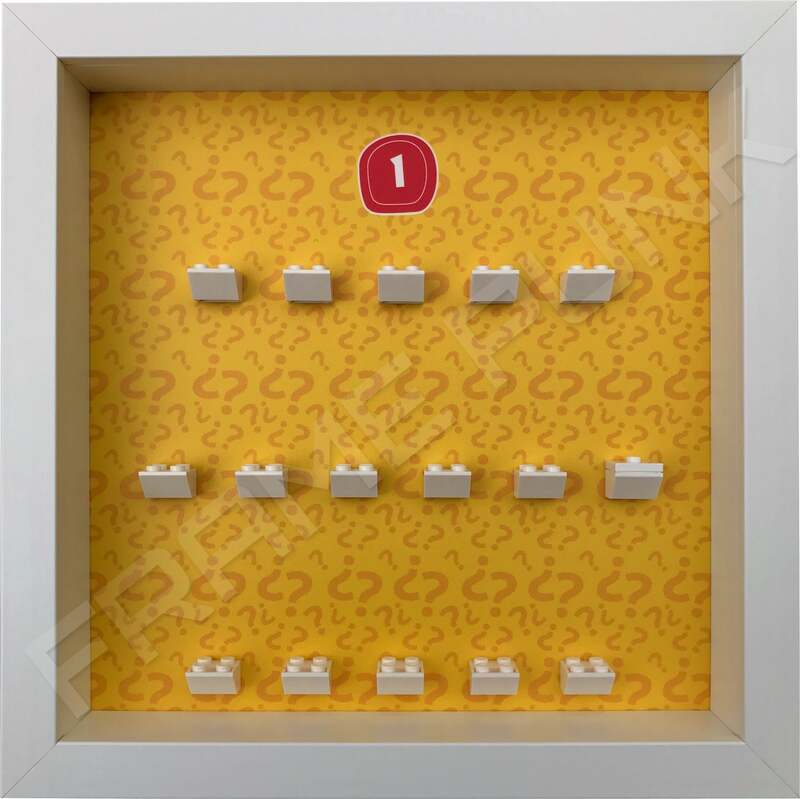 • Official LEGO mounting bricks, specifically chosen and placed so that all Disney minifigures will fit in neatly. 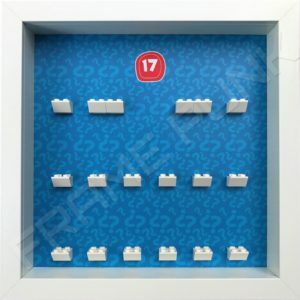 We even add a specific brick for Ariel (See bottom right of images). 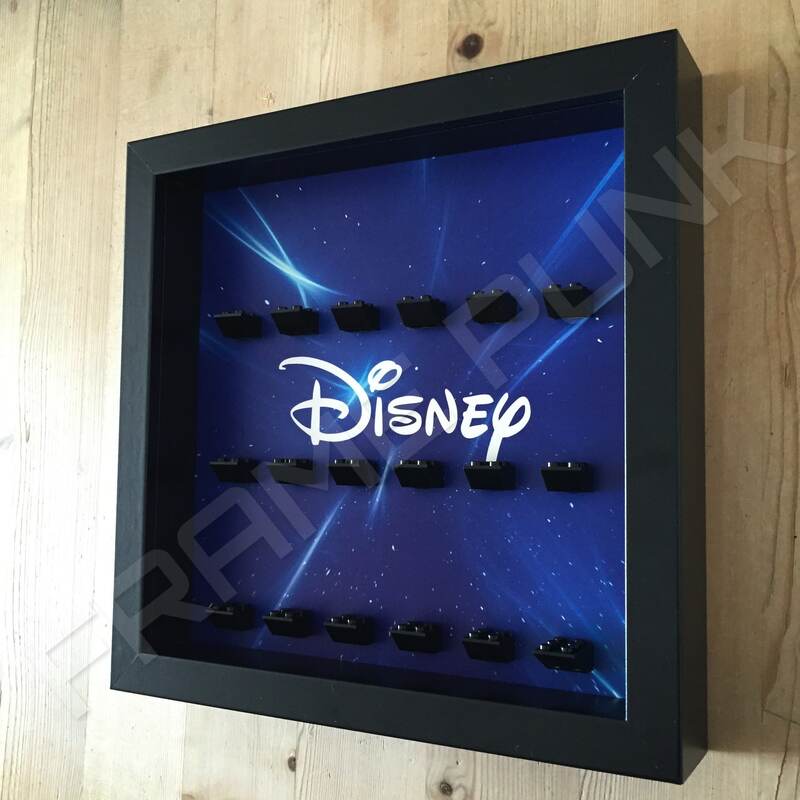 Disney is everywhere – Movies, TV, iPad & iPhone apps, lunch boxes, kitchenware, clothing, toys … the list is endless. 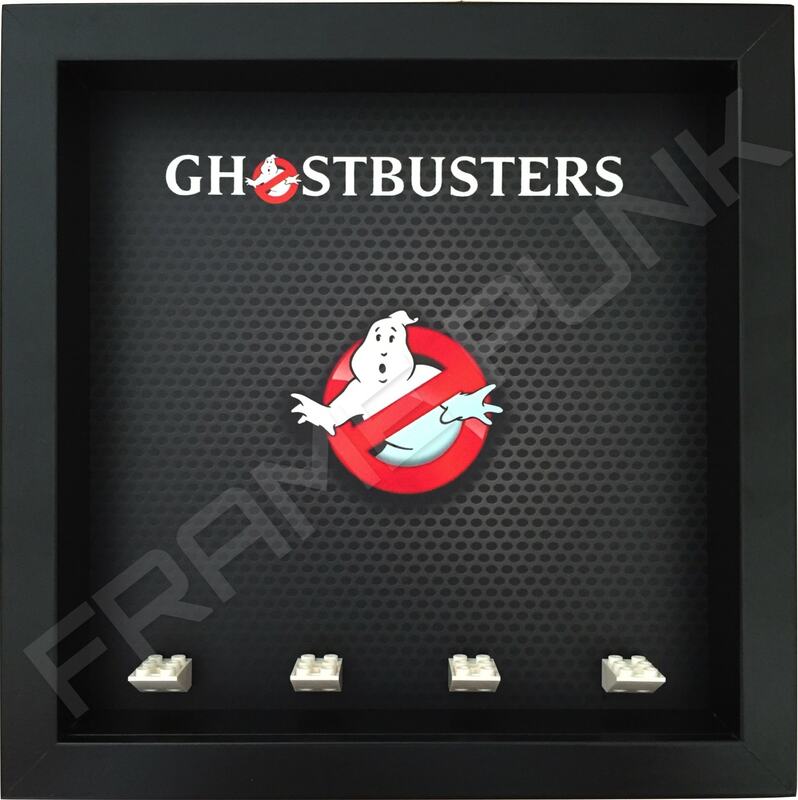 It’s an institution! 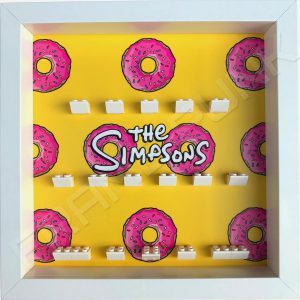 There’s a reason for that – simply put … it’s awesome! 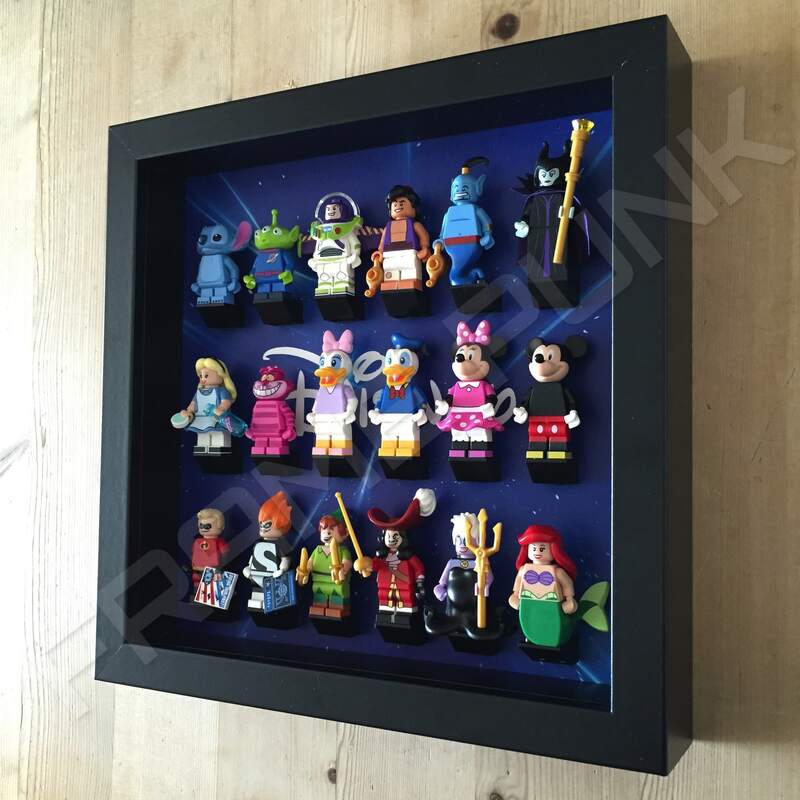 And speaking of awesome and out of this world, check out our Starry Disney Lego display frame! 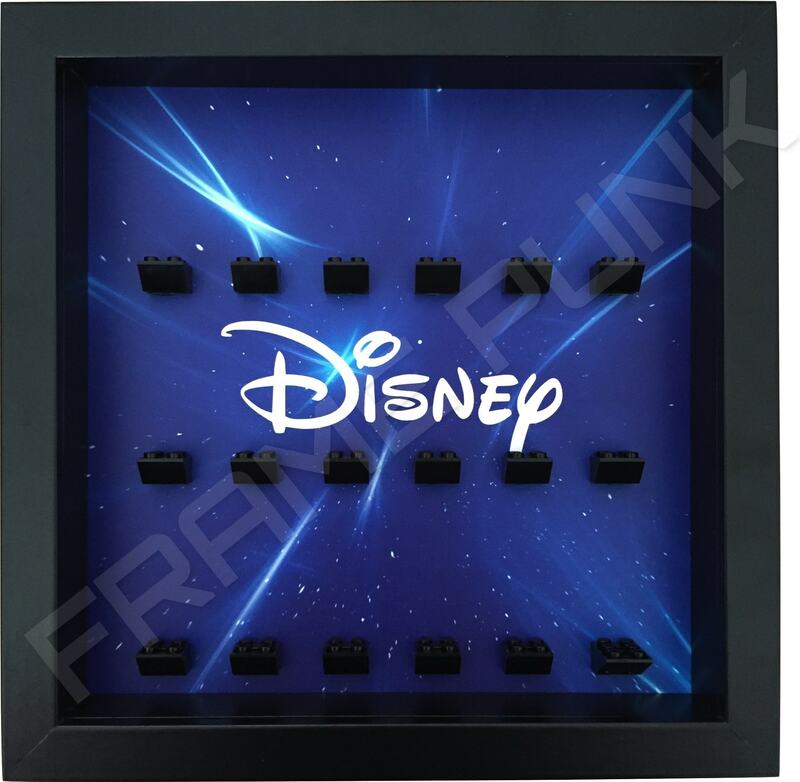 It is simple and classy, a blue based starry sky with the Disney logo in white. 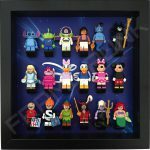 Did we mention that this will compliment the Disney LEGO minifigures series beautifully?! 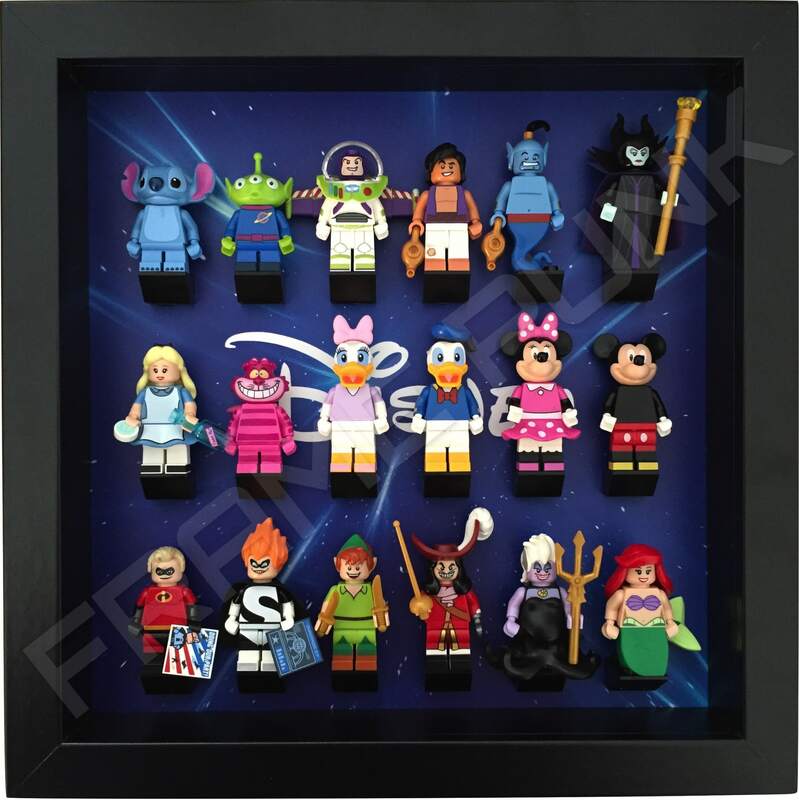 We have carefully worked out the logistics of this frame to ensure that all figures from the Disney LEGO minifigures series will fit in – even tenticle-ly Ursula and Ariel with her large tail (Ariel gets her own special brick!). 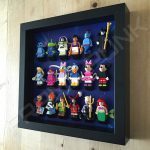 Want something a little more colourful? 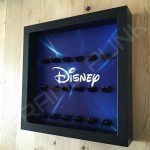 We also have a frame available in red and blue with I Heart Disney printed in the centre. 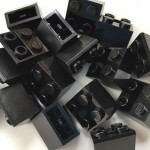 Frame options are black or white.